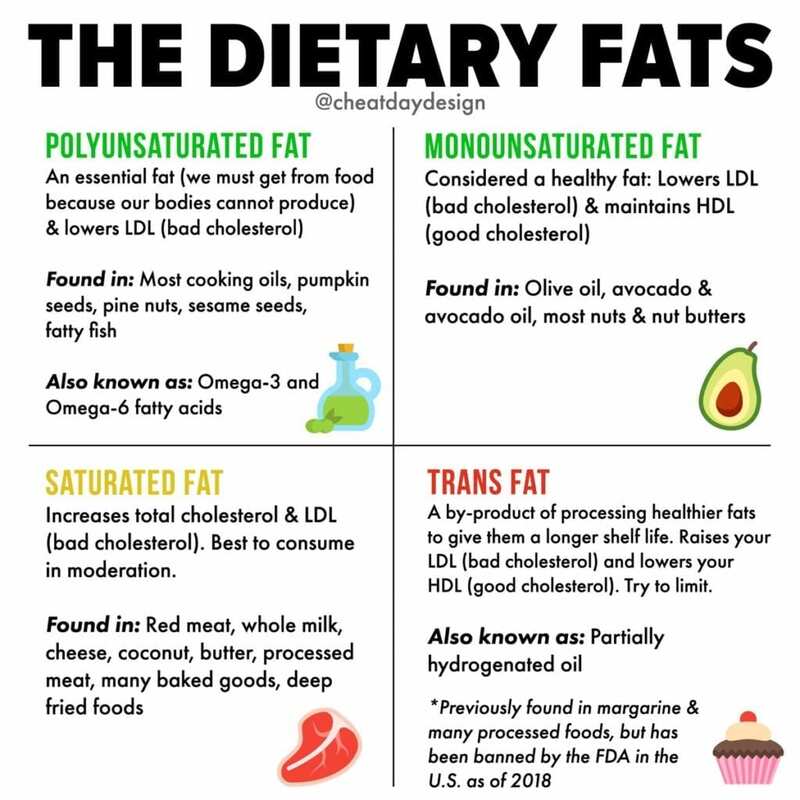 Net carbs can be confusing to make sense of, so let’s try to simplify it. 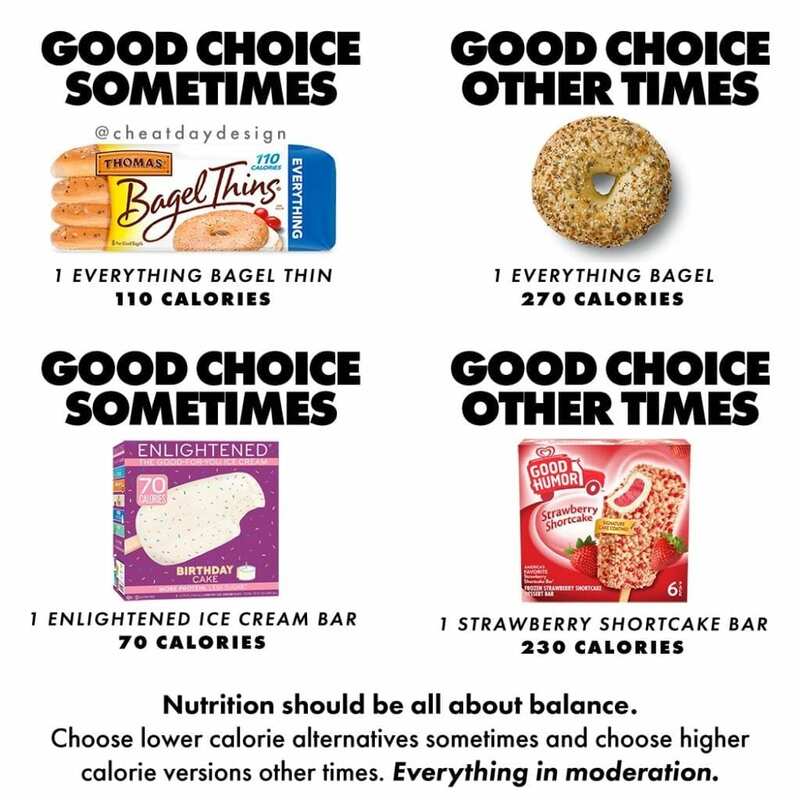 Before we get into it, please understand that if you are on a general, balanced diet, that you do not need to concern yourself with net carbs. I understand you wanting to hit your macros, but there is no reason to stress over net carbs for your sake. 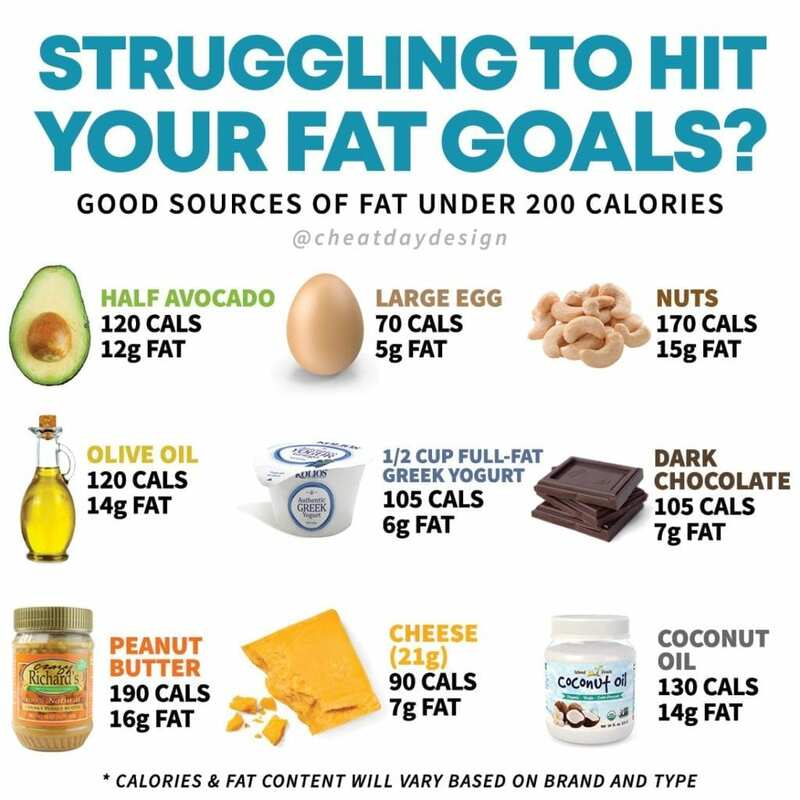 But if you are purposely eating very low carb or keto, then calculating net carbs will be beneficial for you. Dietary fiber passes right through you without breaking down, so we can discount the calories they have, because our bodies don’t utilize them. That’s why fiber makes you poop real good! We like fiber. Sugar alcohol is a confusing topic. Some people don’t count them. Some do. Some sugar alcohols are partially digested and others aren’t. So what do you do? I’ve always found the safest strategy is to count each gram of sugar alcohol as half a gram of fiber. So if a food contains 8g of sugar alcohol, count it the same you would 4g of fiber. 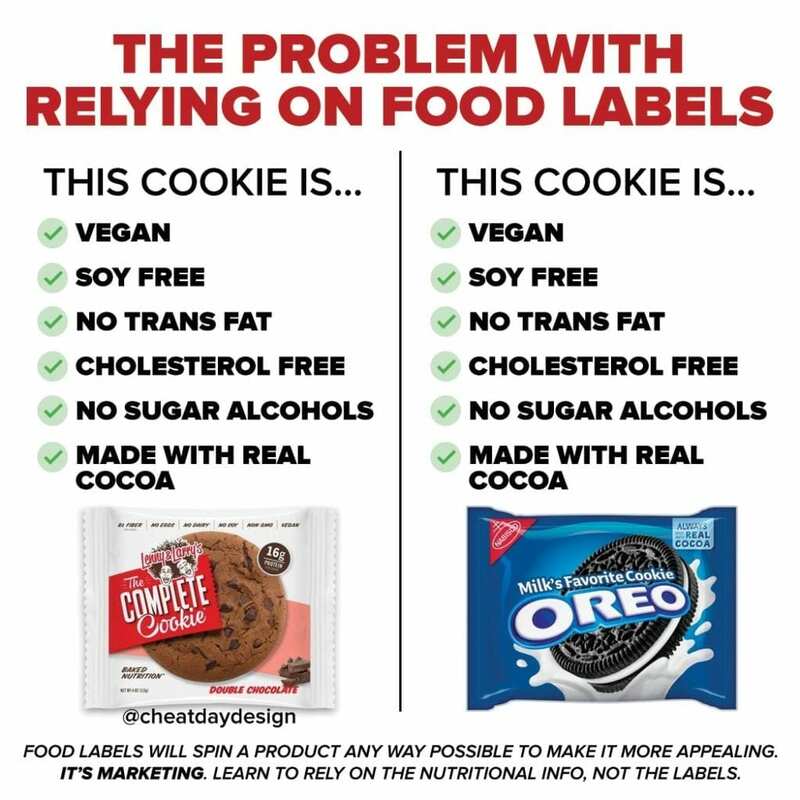 For marketing purposes, most labels will display as few net carbs as possible, so they count sugar alcohol the same as fiber (see Quest bars). But, this is the approach I take! If you calculate net carbs and add everything up, you might find that the total calories don’t exactly match. That’s okay! 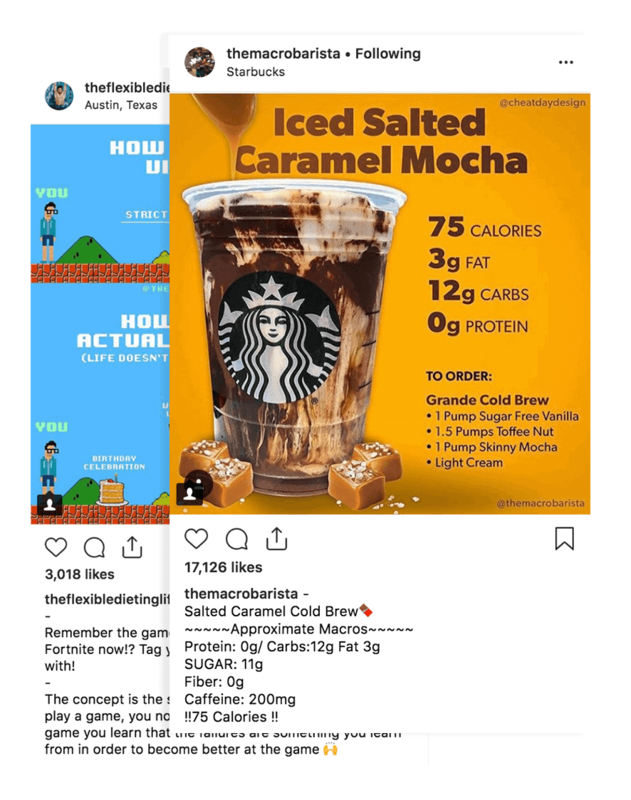 FDA regulations allow companies to round each of the quantities, so you’ll often be off by 5-10 calories regardless of what you do. 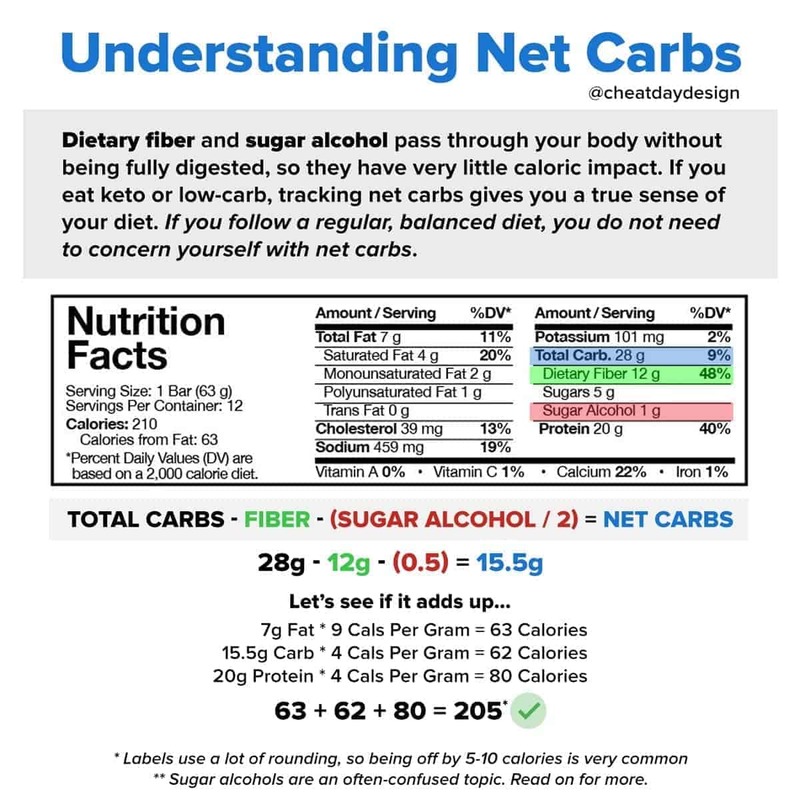 In the above example, if you were to calculate the total calories with ALL carbs (not net carbs) you’ll get closer to 250 calories, showing you that the net carbs are much better indication of total caloric impact than the total carbs are.